Air Cylinder with closing valve. 1,45 liter (50 fl oz). 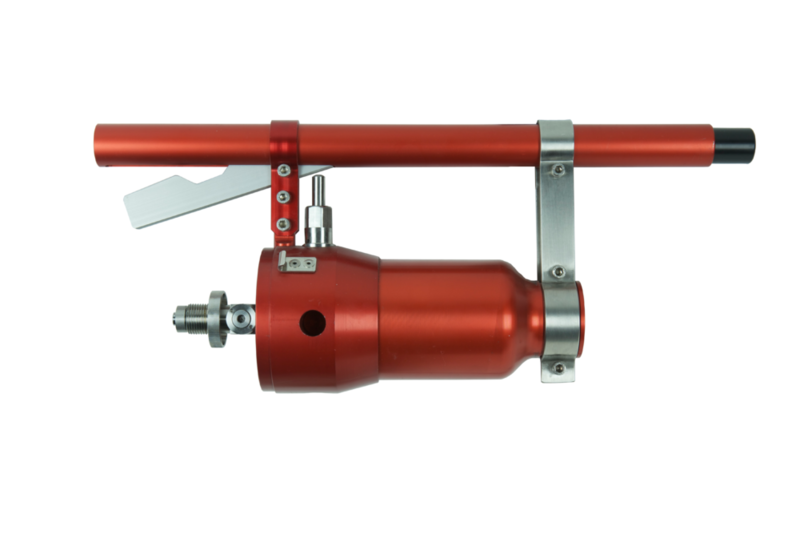 For filling to 300 bars (4350 psi), simply connect the air cylinder to a standard scuba diving (breathing air) compressor with standard 5/8″ threads according to DIN 477. If the air cylinder is filled up to 300 bars (4350 psi), it will supply the base unit with enough air to perform 6 max pressure launches.